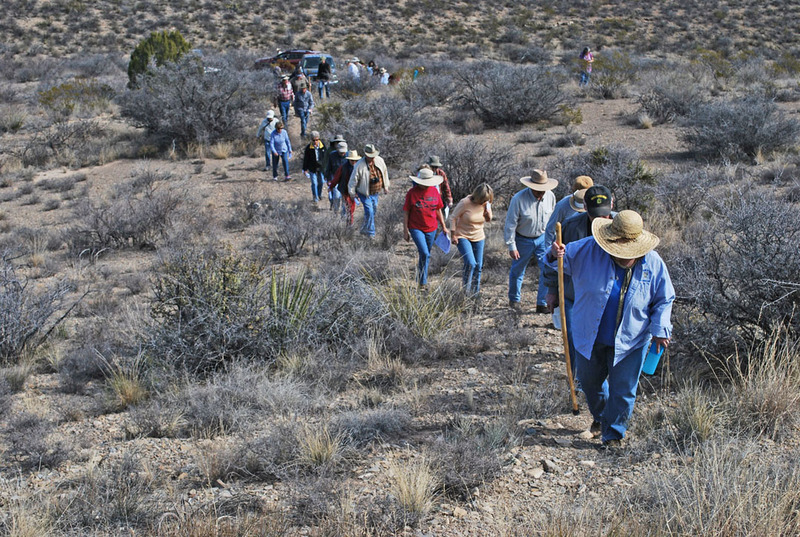 The field trip to the Hembrillo Battlefield took place on Saturday, Feb. 13.
the Dona Ana/Sierra County line passes through the San Andres Mountains. 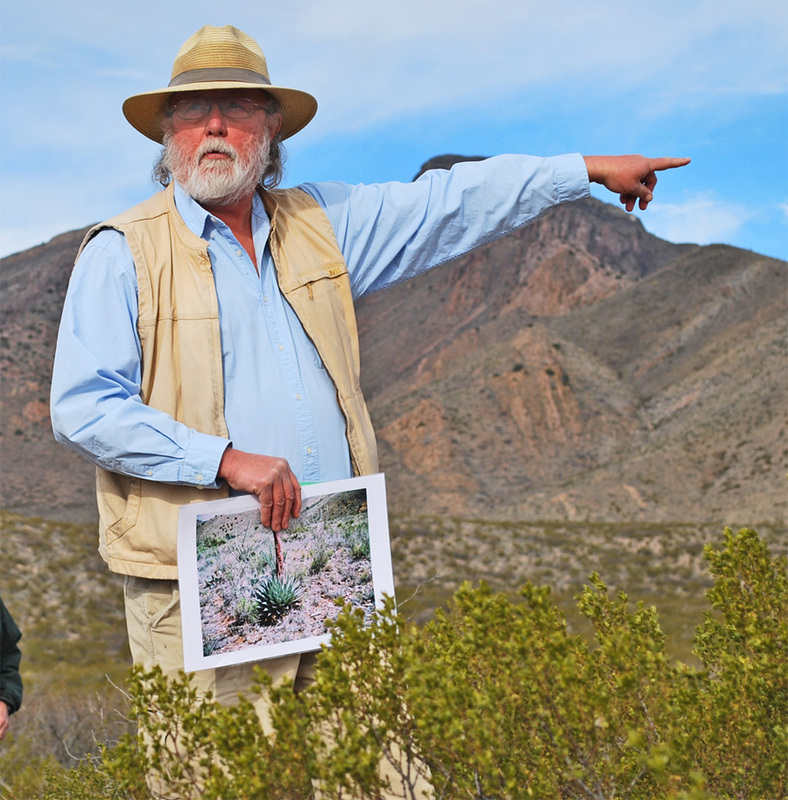 trying to return Apache Chief Victorio and his followers to their reservation. 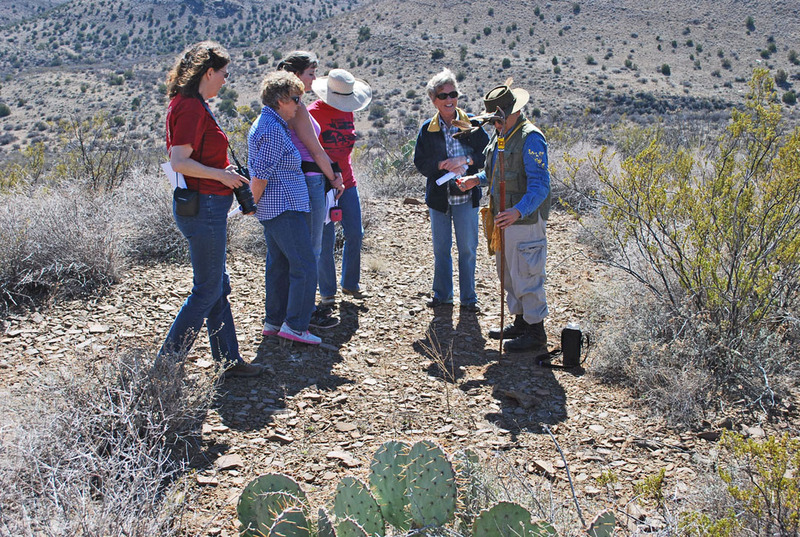 The battle began with a skirmish at the east end of Hembrillo Canyon on April 5, 1880. 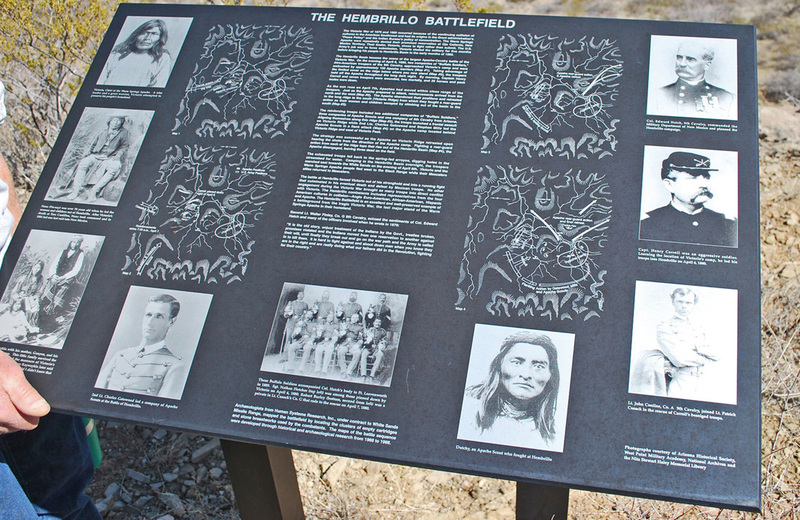 The main battle took place on the 6th and 7th in Hembrillo Basin, at the head of the canyon. figuratively and literally wrote the book on the battle. 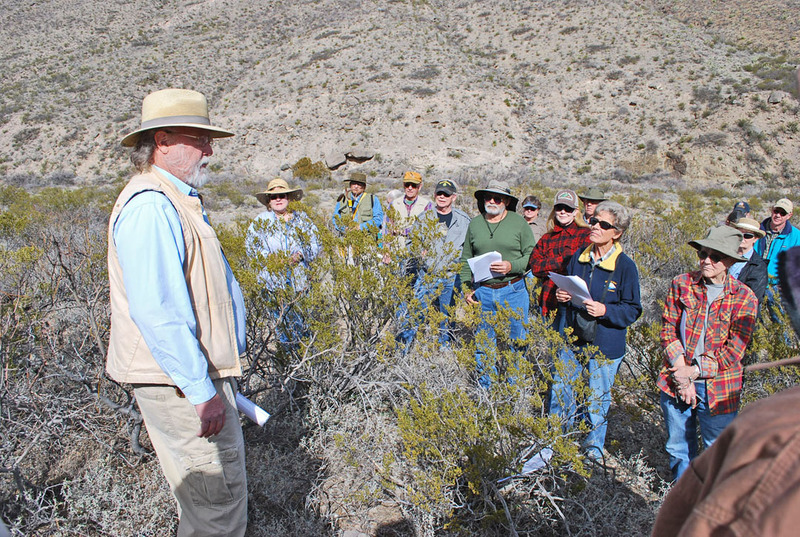 He volunteered his time to brief the membership during the tour of the canyon. warriors toward the evening of April 5, 1880. The skirmish set up the chain of events that followed as any plan for a surprise attack disappeared. 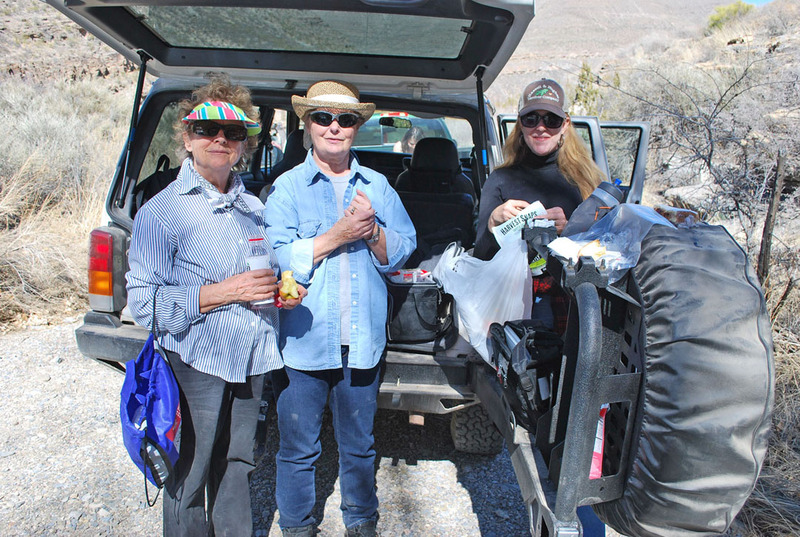 The group snakes its way up a primitive trail to Capt. Henry Carroll's position on the night of April 6, 1880. The sign on a ridge overlooking Capt. Carroll's position. The sign was erected by Human Systems Research after their study of the area. 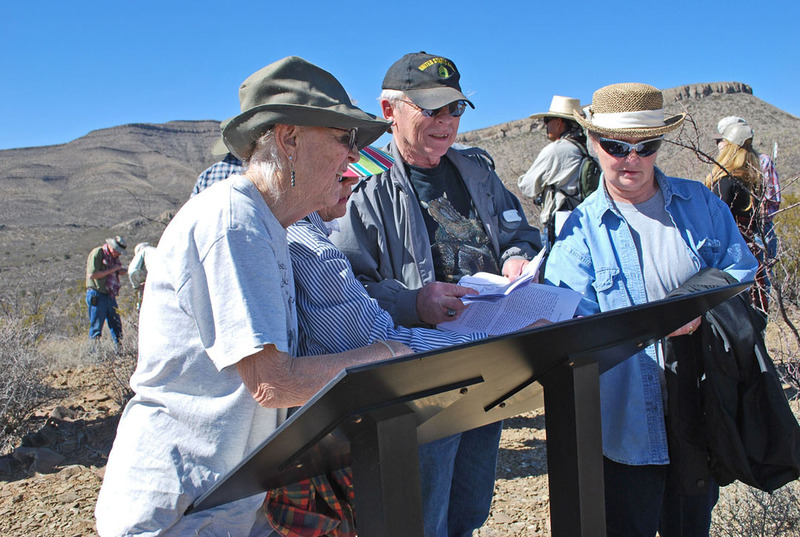 Members find where they are on the sign's maps. 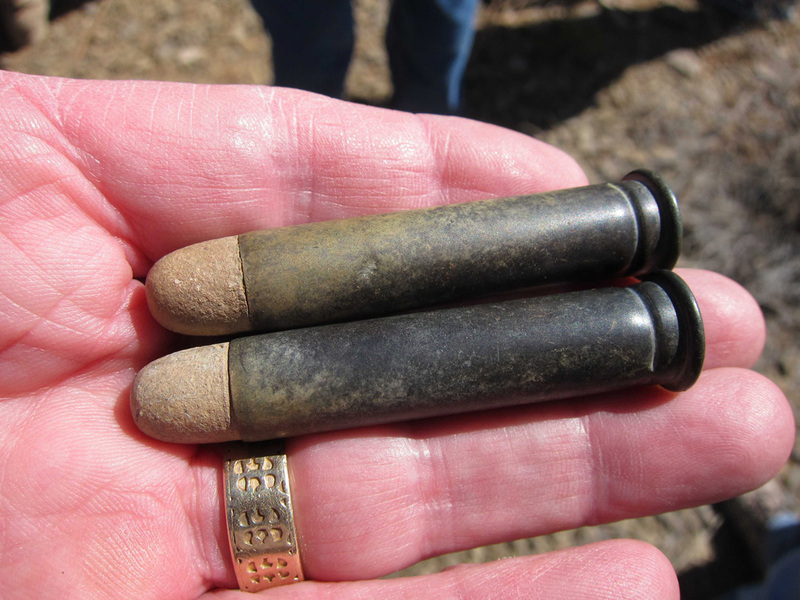 Tour leader Jim Eckles shows the group a couple of intact .45-caliber cartridges found on the battlefield. 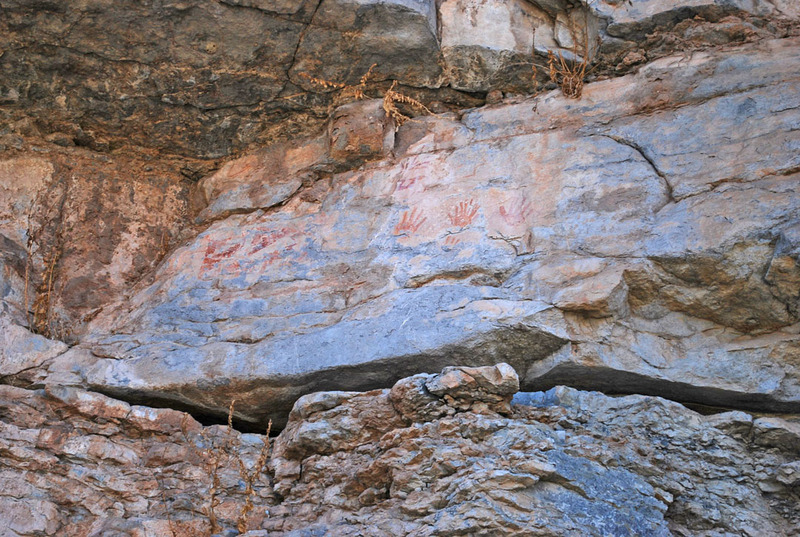 Some of the pictographs at a site in the canyon called "Bloody Hands" -- for obvious reasons. Other images at Bloody Hands. 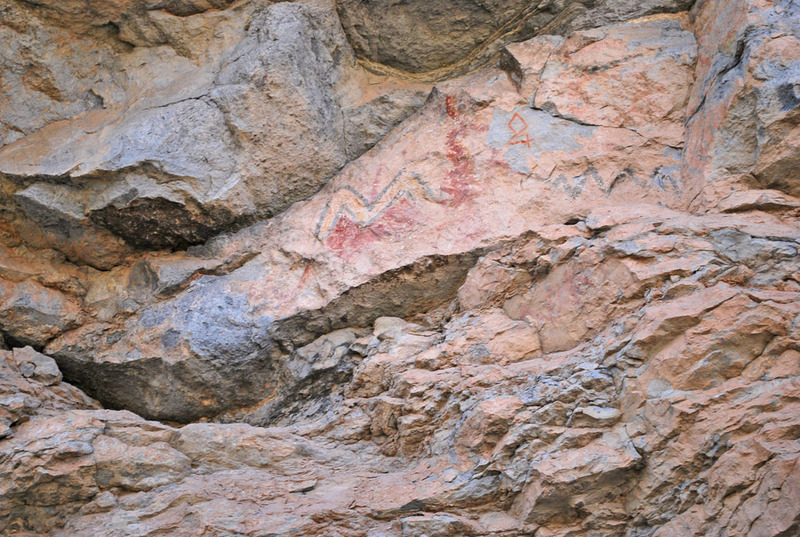 The diamond 4 is the mark of Juan Bernall who herded goats in the canyon in the early 20th century. 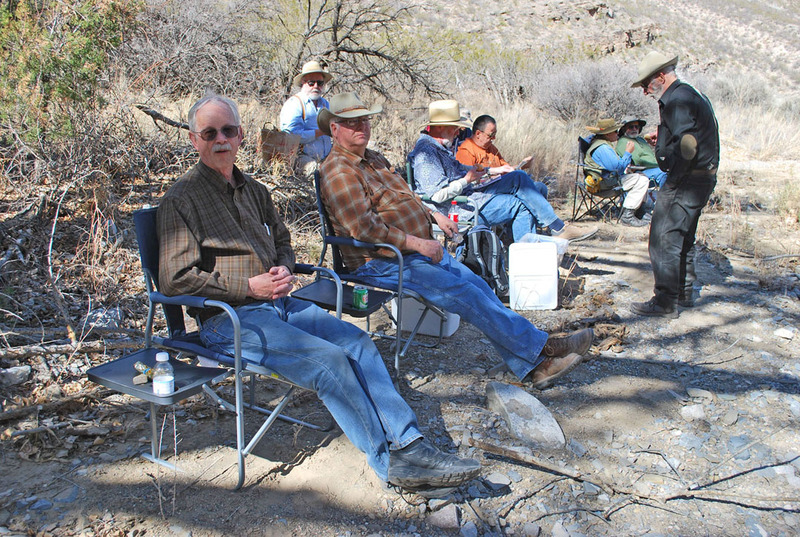 The group ate lunch under the old cottonwoods at Rock Art Spring. 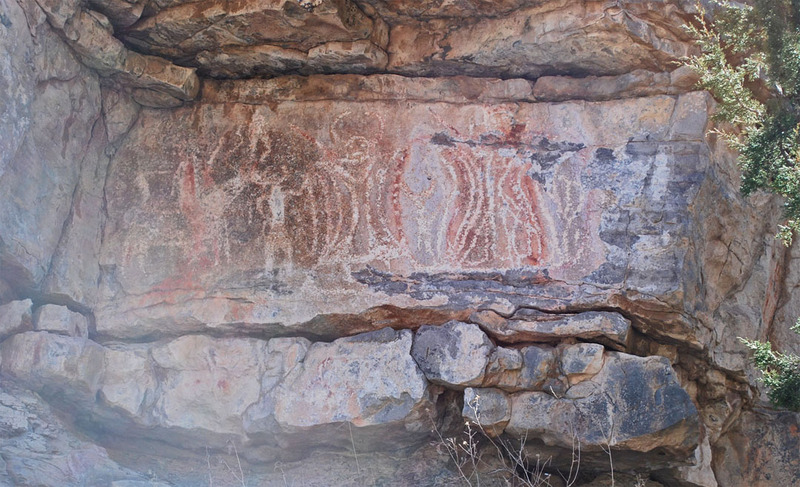 on horseback, meaning it was drawn after contact with the Spanish.